Hurry 'Stamparatus' pe-order ends 31st December 2017, and will not be available until June when the new catalogue comes out. Finally we have the stamp placement tool like no other in the Market place!!! The Stamparatus will change the way you stamp it will take you no time at all to make multiple cards, handy for Christmas cards or birthday invitations with a professional look every time, no need for guess work ever again to get that multiple stamping just how you like it, how good is that!!!. 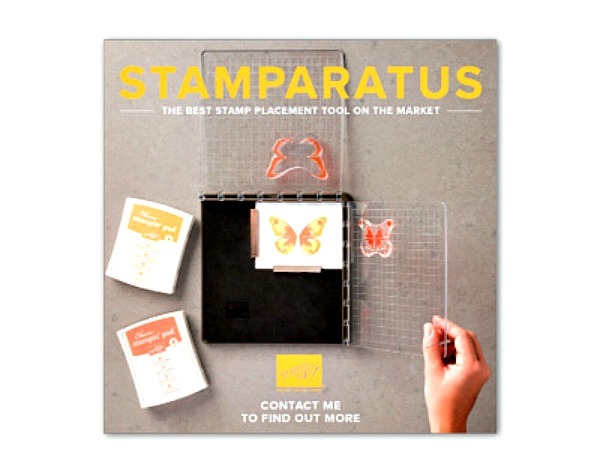 Stamparatus is compatible with red rubber and photopolymer stamps. You can easily create 2-step, 3-step and 4-step stamped images using reversible plates. There are 2 open sides so you can use larger paper. Make fewer mistakes, saving a lot of time. If you want a darker impression, you just apply more ink and no need to start over again. 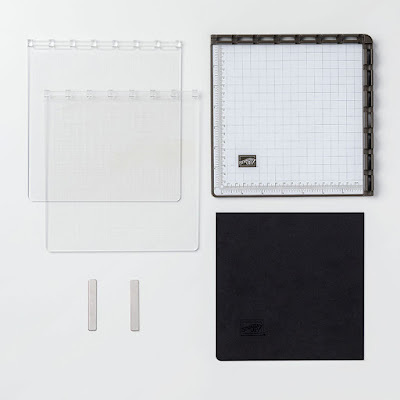 A foam mat is included to use with your Photopolymer Stamps. Rulers and grid line for quick measuring. 2 Reversable plates which gives you a total of 4 surfaces to work with. 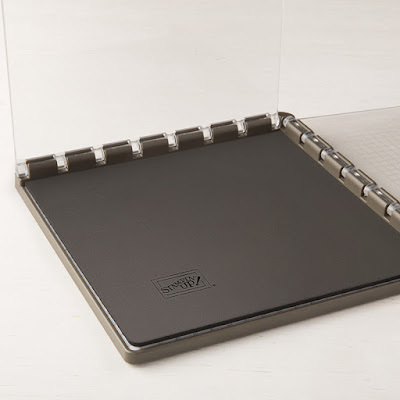 2 large magnets to hold your paper in place. 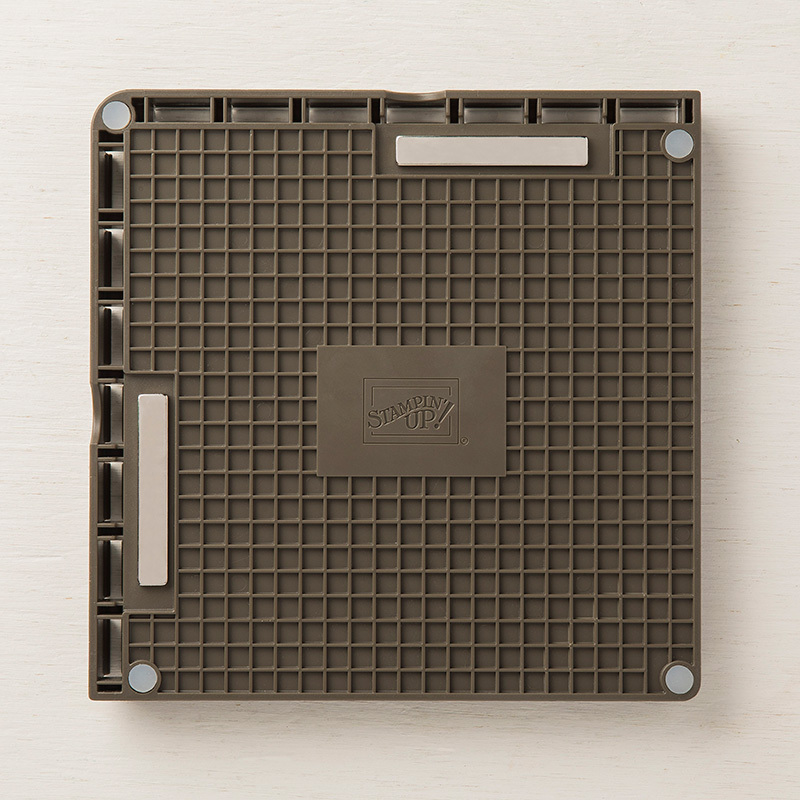 Magnet storage on the back. Create an Online Account with me Monika O'Neill - monstampingcorner.com - On the home page click on My Shop which is on the right hand side under the banner. If you already have an account just sign. Credit cards will not be charged until the Stamparatus arrives in our warehouse, when you close your order, be sure to verify that your card and shipping information is correct. You will be notified by email when your Stamparatus arrives and you can then continue to finalise your order, which by the way will be just in time for Saleabration so for any orders of $90 (before S & H) you get to choose a free item from the brochure, if you spend $180.00 you would qualify for 2 free items or some of the special items in the orange circles marked in the catalogue. If you have questions or not sure of anything just let me know and I can help you out. So very exciting and I cannot wait to get my hands on this Stamparatus. Below is a short video showing you all the great things this tool has to offer!!! PS: If you do not have a demonstrator and would like a catalogue I would be happy to send you one.